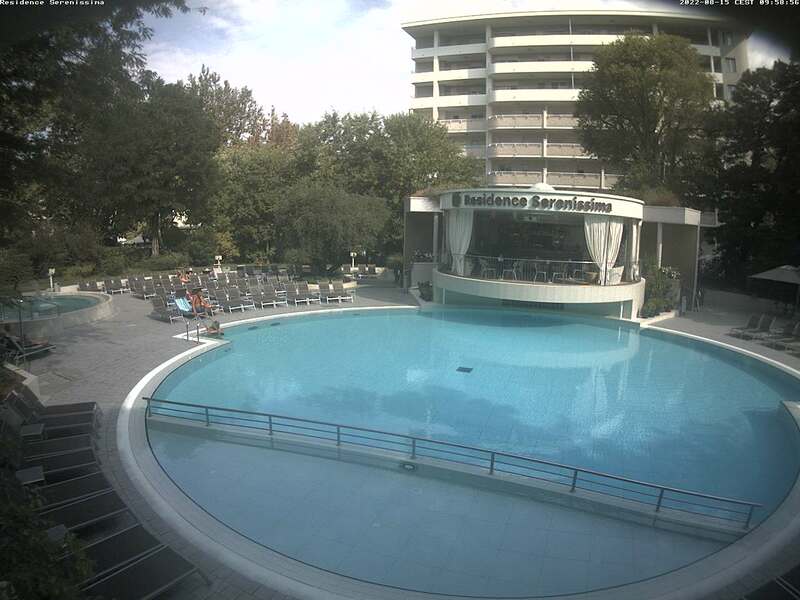 Admire panoramic view on our outdoor swimming pool using Bibione live webcam service available on this page. This is the easiest way to check what is going on right in the heart of our residence headquarters. Live cam is broadcasting panoramic view of our residence twenty-four hours a day and seven days a week. Image quality allows spectating our residence in any weather conditions and during any part of the day. You can feel the atmosphere inside the residence in your chair to ensure the choice for your family vacation. Follow our live webcam service for Bibione holiday that will perfectly match your ideal beach getaway in a family circle.